` Ang Geck Geck: IN CHIOBU WE TRUST: We are on ST! 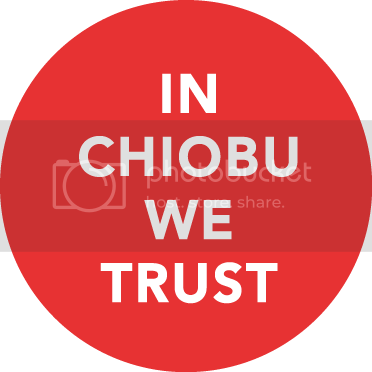 IN CHIOBU WE TRUST: We are on ST! I m so looking forward to the CHIOBU POP ART PARTY that is going to happen on the 31st of August. 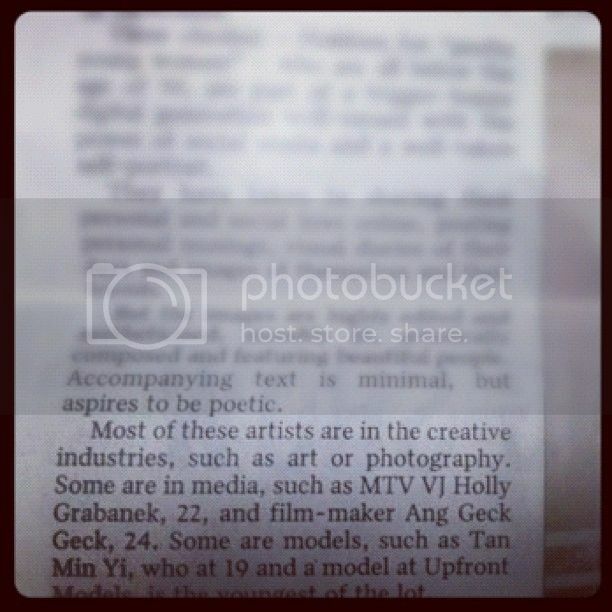 We are featured in the Straits Times today and I m kinda surprised that my name is being mentioned - 'film maker Ang Geck Geck' in a really tiny weeny space somewhere in the article that you probably won't even notice it but this just meant so much to me, to be addressed as a filmmaker officially. Till today, it just seem to be a bit surreal that I am actually a filmmaker. In any way, I am motivated to produce more better films in future and a little cliche, I want to say I m just proud of who I am today. Of course, thanks to people who share my work on chiobu movement facebook page to your fellow friends for appreciating what I've produced. Can't wait to see you guy at Pigeon Hole, at Duxton Road on this coming Friday with the rest of the 9 female artists. Ciao. You HAVE arrived. You ARE a film maker. Pinch yourself you really are there. Great work featured at Chiobu Art Party tonight. It was a blast. Thanks for the invitation. Lovely to be around such talented creative artists. We really enjoyed it. Thanks also for being my little girl's encourager and mentor, you are a wonderful role model.